Oxford University Parks put two more Billy Goats out to grass. 0 Oxford University Parks put two more Billy Goats out to grass. 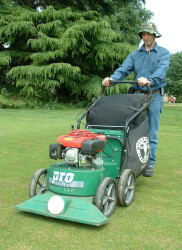 Already the user of no less than ten Billy Goat Vacuum Sweepers of varying models Oxford University Parks Department have just purchased yet another two Billy Goat machines in the shape of the SV50HR vacuum sweepers. 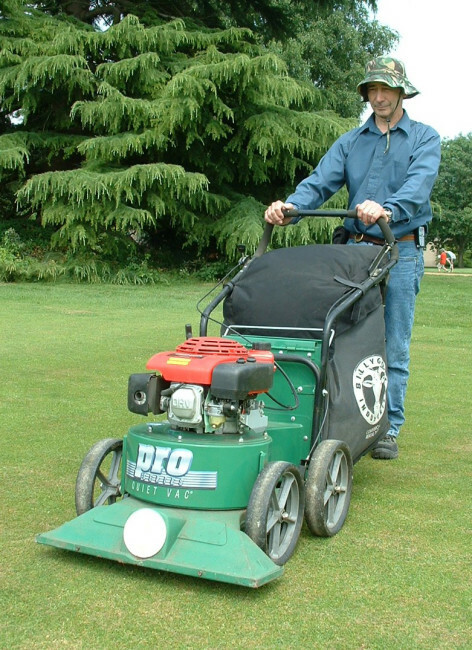 The new vacuums will be added to the array of machinery the Parks department deploy in the maintenance of 76 sites adding up to 276 acres in and around the city of dreaming spires. Parks Superintendent, Walter Sawyer, oversees 28 personnel who not only maintain the immaculate University Parks but also operate a thriving contract business in 100 locations from 15-acre sites to office size plots. Initially the Vacs will be put to use picking up the autumn leaf fall on the grass areas in the parks where thousands of trees create tons of leaves which if left alone become a real problem throughout the whole park area which is a real favourite with the student population. The new Billy Goat Vacs are supplied by local Pinnacle dealer P A Turney whose representative Mike leach looks after the Parks Department very well according to Walter. The Billy Goat SV50HR has a working width of 27in (69cm) and is powered by a Honda OHV GXV engine. The optional hose kit can be carried on board at all times and the volute-shaped housing and six bladed impeller radically reduces noise, just the thing for use around those dreaming spires. For further details call Pinnacle Power Equipment on 01932 788799.